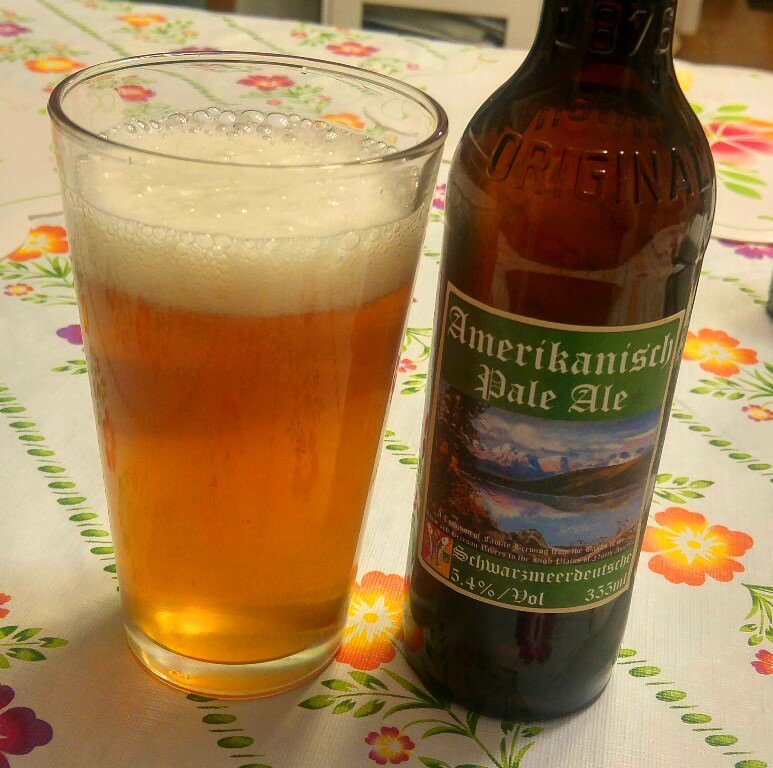 Amerikanisch Pale Ale - The BSB SportzMan - A Forum for OutdoorzMen! My goal for this brew is for a stripped-down, non-complicated American Pale Ale that reflects a few things about me. I am not consciously attempting to duplicate or emulate any commercial beer, but I do want it to conform to the style in general. I want this ale to be a malt-forward beer with good hop flavor and aroma, and a bitterness that is at the low end of the pale ale scale (see what I did there?). 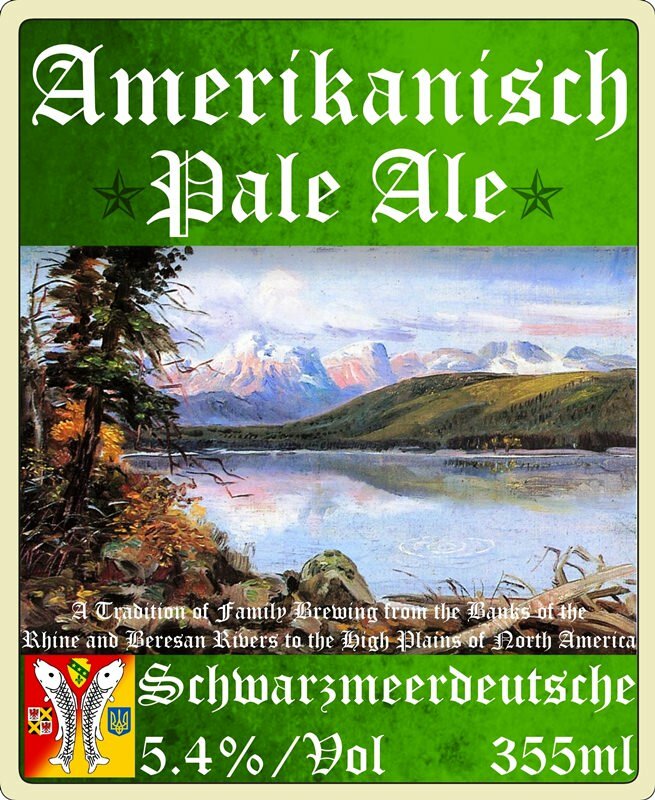 My name for the beer (Amerikanisch) is a nod to my German roots, and the pale ale malt that I will be brewing with comes from Montana. My chosen hops (Chinook) pay homage to my hometown. This seems non-complicated and it conforms, as far as I can see and from what I have read of BCJP, to what an American Pale Ale should be. It reflects my German heritage, Montana background, and the combination of my hometown (Chinook, Montana) and my wife's home county (Cascade, Montana). The Chinook/Cascade combination has been described as a good one, and the hops are - I hope - in good proportion to each other. 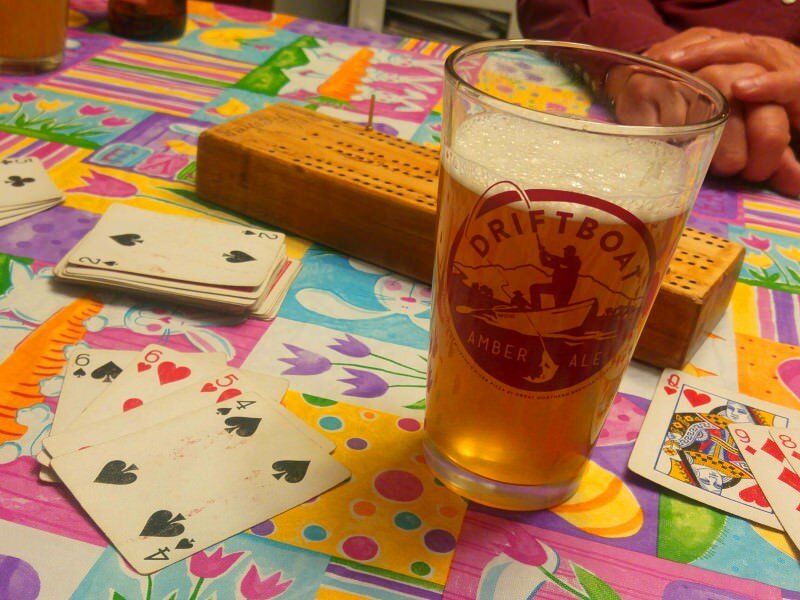 The IBUs are within my goal, and it looks like this will be just a bit (but not overly) malty, which is what I want. 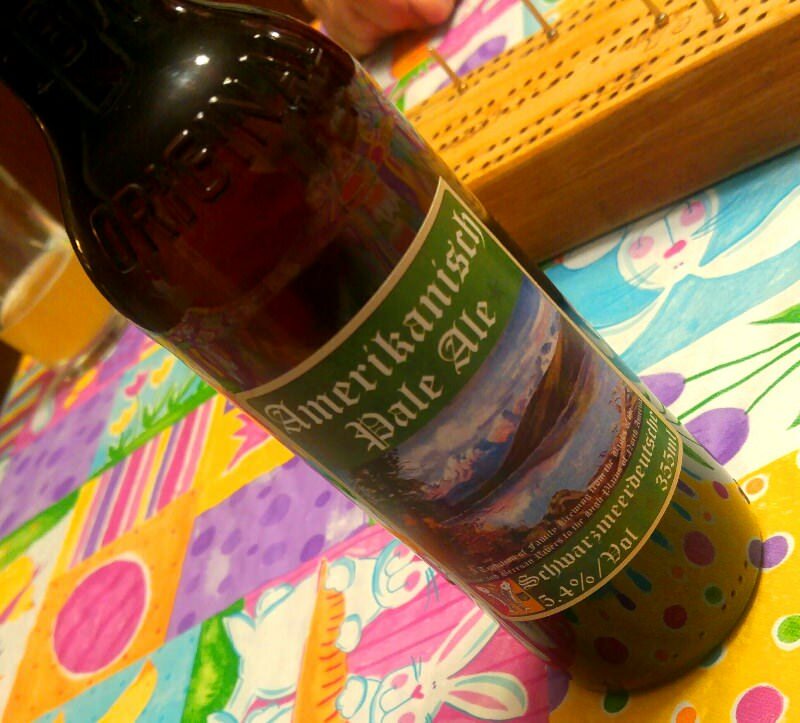 I tried a couple of "Mountain Pale Ales" over the summer - one was a special issue from Ranier. They were good, but to my opinion a bit lacking. 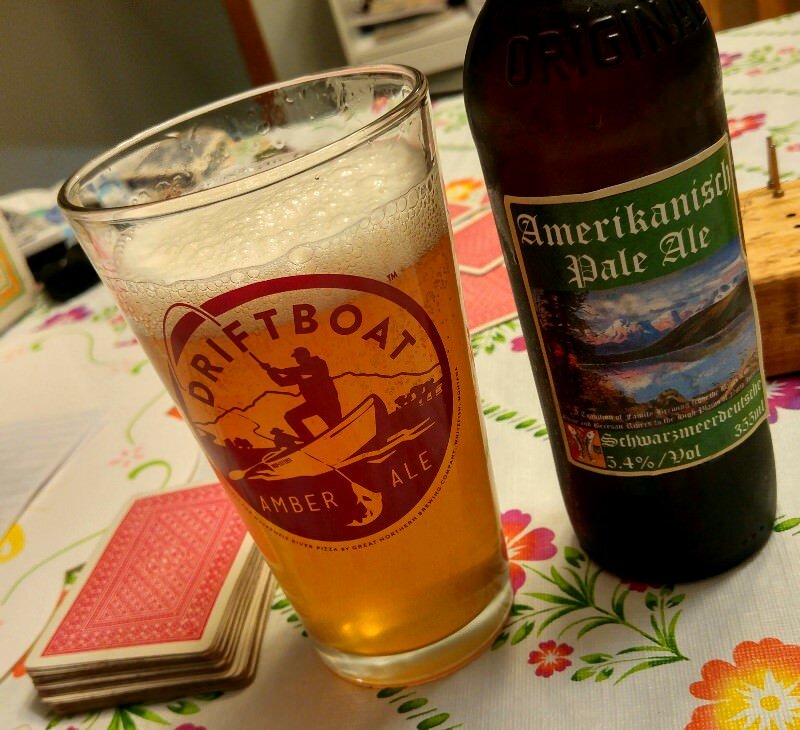 This recipe hopefully goes with that "mountain ale" concept, but improves on the commercial offerings that I've tried. I might play with the hops schedule a bit, but unless there are any huge, glaring errors, I'll go with the above. At best, I've got a good thing here; at worst, I'll need to tweak it a bit. On Sunday, 18 February, I was - finally! - able to brew this beer. I am up to my neck in a busy week already, so I will keep it short; however, as far as I can tell, everything went very well with the brew and I encountered no difficulties that I can recall.